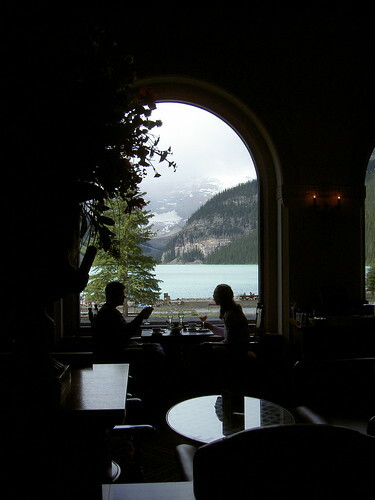 We drove to the north for about one hour and visited Lake Louise in Banff National Park. 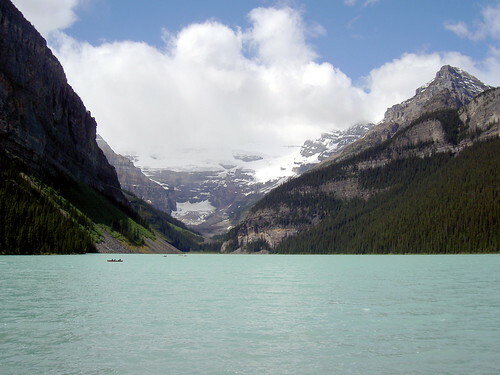 Since melted water of glaciers comes into this lake, the water is emerald colour. 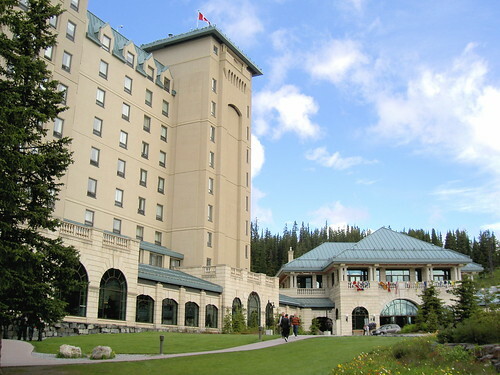 Lake Louise is named after Princess Louise who was a daughter of Queen Victoria in Britain. Canada Pacific Railway built a rail near this lake at the end of the 19th century and Chateau Lake Louise was built next to the lake at the beginning of the 20th century. 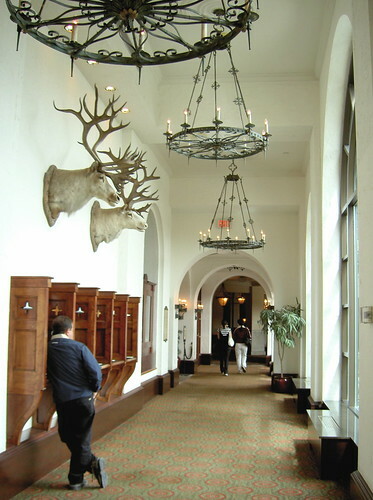 From the beginning of this establishment, Chateau Lake Louise has been noted for the place to go for honeymoon. 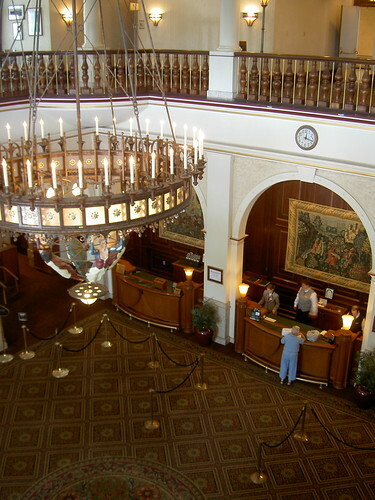 The hotel was burnt down in 1924 and this current hotel was built.